Eighty-five percent of the corn produced in the United States is genetically modified, according to the Center for Food Safety. Much of the genetically modified corn has been engineered to produce a soil bacterium called bacillus thuringiensis, or Bt, which is an effective insecticide. Bt corn reduces pesticide usage, but many people are concerned about its effects on health and the environment. Bt corn is created by inserting a gene into the DNA of the plant that causes the corn to produce a protein, called Bt delta endotoxin. The protein is lethal to certain crop-destroying larvae. When insects ingest the endotoxin, it breaks down the wall of the gut, leaking bacteria throughout the insect's body and causing death by septicemia. The U.S. Food and Drug Administration and the Environmental Protection Agency have determined that Bt corn is safe for human consumption. The major advantage of Bt corn is that it reduces the need to use broad-spectrum insecticides. Most pesticides that are sprayed onto crops kill all insects, including harmless and beneficial ones. In contrast, Bt is specific to a few insects that are susceptible to the toxin and only kills insects that have ingested Bt corn. Because there is less usage of chemical pesticides with Bt corn, cost of production is lower and exposure to hazardous chemicals by the farmers is reduced. Many scientists are not sold on the safety of this genetically modified crop. While reducing pesticide usage is good for the health of consumers, Jeffery Smith of the Institute for Responsible Technology points out that growing corn with Bt endotoxin means that you are consuming a pesticide inside every bite of corn. According to the Center for Food Safety, Bt corn has the potential to trigger an allergic response because the actual DNA of the corn has been altered, introducing new proteins into the food supply. The EPA claims that Bt toxin has no adverse effect on humans or mammals. But a 1999 study published in "Life Sciences" found that when Bt toxin was given to mice, it caused high levels of antibodies, suggesting an allergic response to the toxin. The bottom line is that there are no long-term studies to either prove or disprove the safety of Bt corn. There is an environmental upside to using Bt corn because it protects some beneficial insects, such as honey bees, from lethal pesticides. 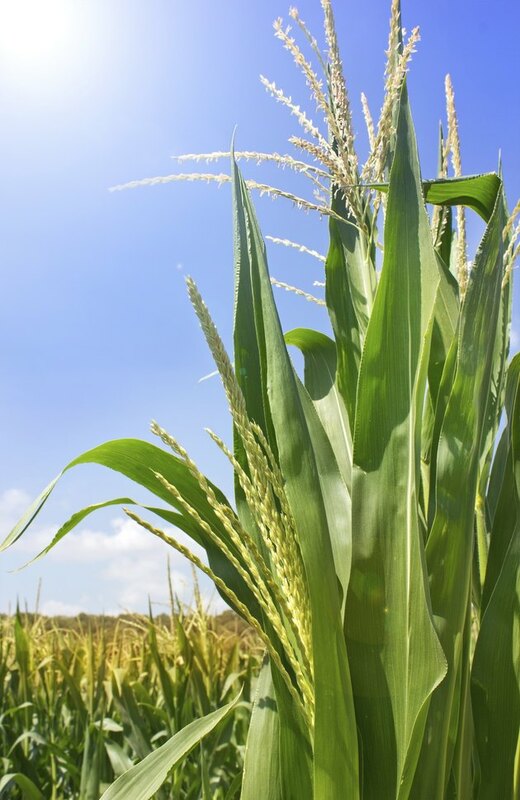 Use of Bt corn can cause contamination of other crops, however, and this makes organic farming -- which disallows genetic modifications -- much more difficult, states the Institute for Responsible Technology. Cross-pollination has already eliminated a large portion of heirloom varieties of corn. Additionally, there is a potential for the Bt toxin to contaminate nearby streams and negatively affect aquatic life. What Are the Benefits of GMO Corn?